This project was the winner of Landscape Institute Local and Site Planning Award 2001. We assessed the landscape around 20 settlements in order to identify areas potentially suitable for housing or employment development in terms of minimising impact on the landscape. Settlements included Cirencester, Chipping Campden, Stow-on-the-Wold and Bourton-on-the-Water. This brief demanded that we achieve a given overall short term and long term target for development areas. Criteria were developed to act as a clear and justifiable basis for site selection. The report was also used to act as robust defence against development in areas where development not recommended. Issues of impact on the Cotswold AONB and the relationship between historic settlements and their settings were addressed. The assessment fed into the Local Plan process and, though undertaken in a very tight timescale of four months, was used for around 15 years to inform decision-making. (On the CDC website scroll down to Green Infrastructure and choose landscape from the drop down list). In 2014, we were appointed to update the assessment taking into account the impact of any physical change since 2000, any revised assessments, policies and up-to-date guidance and focussing on the strategic housing land availability assessment (SHLAA) sites coming forward. The sites considered in this series of reports (accessed in the same link as above) were those considered by Cotswold District Council as being deliverable and which were adjacent to the settlement edges of eighteen key settlements. 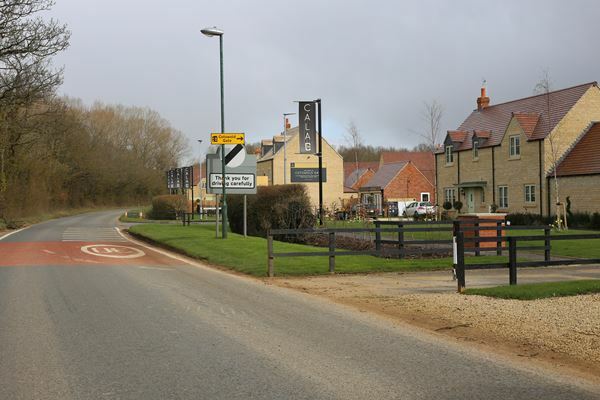 We carried out this work again to a tight timescale to achieve the programme for the emerging local plan.